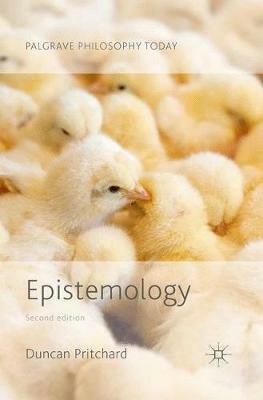 This advanced textbook, now in its second edition, provides an accessible overview of some of the main issues in contemporary epistemology. Written by an expert in the field, it covers such key topics as virtue epistemology, anti-luck epistemology, epistemological disjunctivism, epistemic value, understanding, radical scepticism, and contextualism. This book is ideal as a set text for an advanced undergraduate or postgraduate course in epistemology, and will also be of general interest to researchers in philosophy. Illustrations note XII, 146 p.
Duncan Pritchard is Professor of Philosophy at the University of Edinburgh, UK. Professor Pritchard is widely recognised as one of the world's leading experts in the area of epistemology. He is the author of Epistemic Luck (2005) and Epistemological Disjunctivism (2012).